Notre Dame is a very old cathedral in Paris, France. It is one of France's most famous landmarks and many people visit it each year. The cathedral is on a small island on the River Seine. It is the cathedral of the Catholic Archdiocese of Paris, one of 23 archdioceses in France. The cathedral was built during two centuries. It is a very good example of Gothic Architecture in France. At the time it was finished, the cathedral was the biggest such building in Western Europe. Between 1844 and 1864, the building was renovated under the direction of Eugène Viollet-le-Duc, who incorporated elements into the design that the medieval building had not possessed before. The two rose windows which ornate the transept are among the biggest in Europe: each has a diameter of 13m. Victor Hugo wrote a famous story. The story takes place around the cathedral. The English title is 'The Hunchback of Notre Dame', and has also been turned in to a animated movie by Walt Disney but in French it is called 'Notre-Dame de Paris'. Tradition has it that Notre-Dame’s first stone was laid in 1163 in the presence of Pope Alexander III. On 15 April 2019, smoke and flames were sighted and the Cathedral was declared to be on fire. The fire burnt for over half a day and caused massive damage. 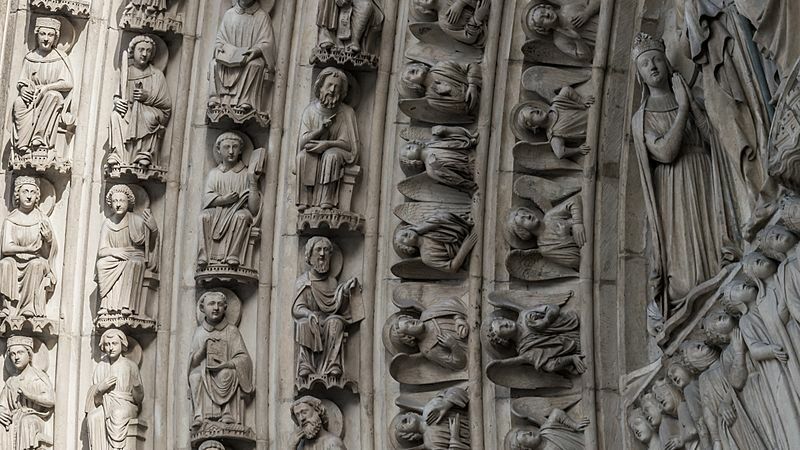 Most works of art in the cathedral could be saved. 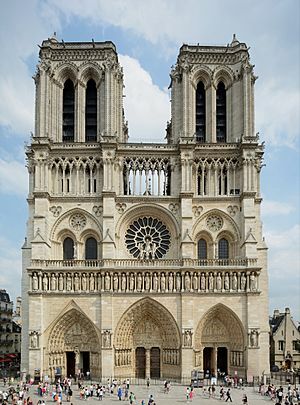 The French government announced that the damage would be repaired and the cathedral would be rebuilt. The fire started in the cathedral's attic. The spire of the cathedral—originally in place between the 13th and 18th centuries, and recreated in the 19th century—was destroyed in a fire in 2019. The spire from above, in 2013. Notre-Dame de Paris Facts for Kids. Kiddle Encyclopedia. 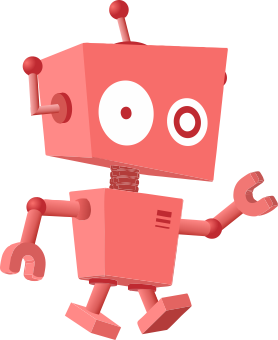 This page was last modified on 21 April 2019, at 08:40.